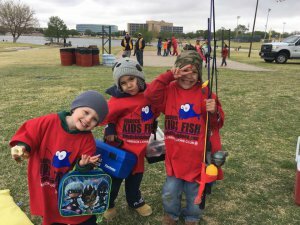 This marks the 6th annual Kidsfish Lubbock. This free community event includes everything you would need for a perfect fishing day. If you already have a fishing pole feel free to bring it, but there are a limited quantity of fishing pole to borrow. Bait and Lunch are provided all you need to bring is your positive attitude!